What is it that you’re the absolute best at, which creates the greatest result for your business? What is my greatest drainer? Have I surrounded myself with people who fill in the gaps of my strengths? What would it take to develop my strength and take it to the next level? Is there a similarly gifted person, that’s far ahead of you, that you could make your mentor? How do you manage your weaknesses rather than try to develop them? What activities should be delegated to others so you can focus on your strengths? Your Fully Exploited Strengths will Always Outdo Your Marginally Developed Weaknesses. We specialize in helping small businesses & non-profits focus on doing what they are best at, by serving as their outsourced accountants, bookkeepers, tax advisors, CPA’s and payroll specialists. In short – we’ll take over the annoying stuff most large businesses have a finance department for. So What are you doing and holding onto that you should delegate to others? Build a collaborative team around you – of professionals, organizations & peers which can fill the gaps in your gifting & help you fully exploit the unique strengths you’ve been blessed with. If you haven’t completed one, we recommend that every person who wants to fully exploit their God-given strengths to take steps to identify them. One of the best ways to do so is to do a “Strengths Based Leadership” assessment which can teach you some of your strengths. Buy the Strengths Based Leadership Book – ensuring it’s the one with the assessment code in the back. Complete the online assessment using the code in the back of the book. Read about your top 5 strength-themes that the assessment identifies. Talk with your manager, leader, business partner or spouse about the “How your leader should lead you” section. 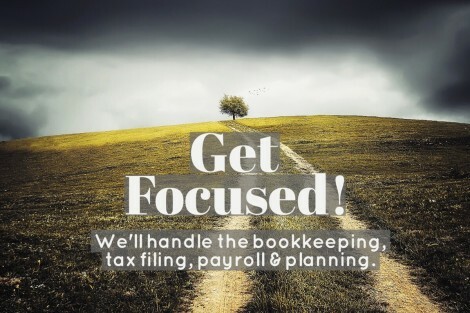 Hire Nuance Financial Tax & Accounting to help you focus by taking over your payroll, tax filing, tax planning, QuickBooks, and financial reporting. We’re confident this will help you focus on your strengths and do what only you can do!